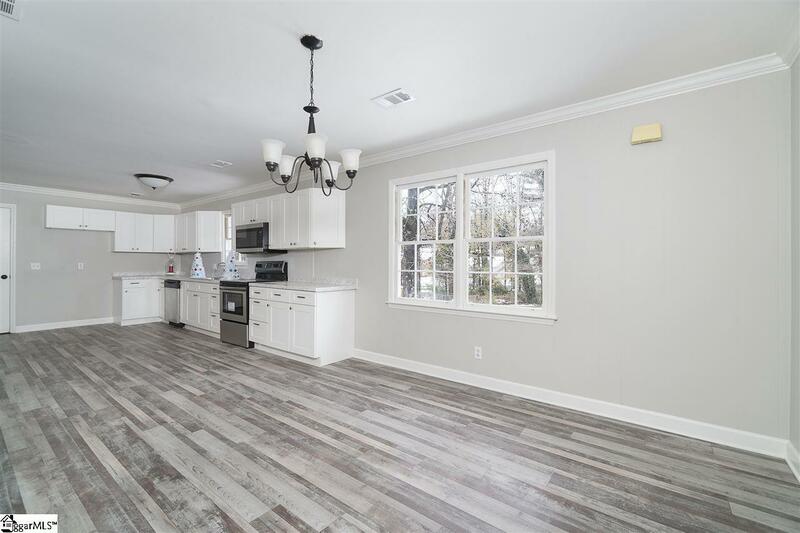 Newly Renovated Home, Great Mauldin Location! 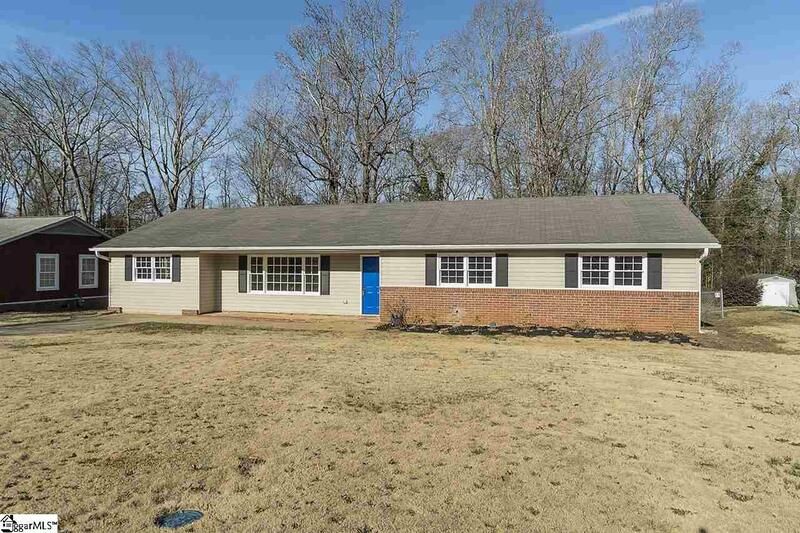 This one-level ranch home is set on a large, level lot with a beautiful fenced backyard. . Enter through the front door and you'll notice stylish new flooring that spans throughout the main living areas and hallways. The kitchen has been redesigned and remodeled with the chef of the family in mind. All brand new cabinets, featuring soft close doors and drawers, have been installed. 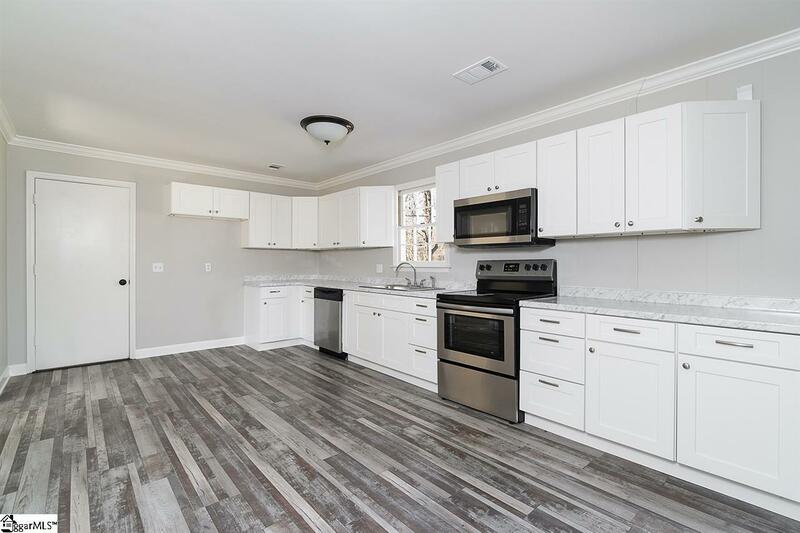 There is also additional cabinetry and counterspace added, as well as new stainless steel appliances. Both bathrooms have been renovated, including a large standup tile shower in the master bath. New Carpeting has been installed in all the bedrooms and the entire home has been painted from top to bottom to give it the fresh new home feel. Plumbing and electrical upgrades made as well. 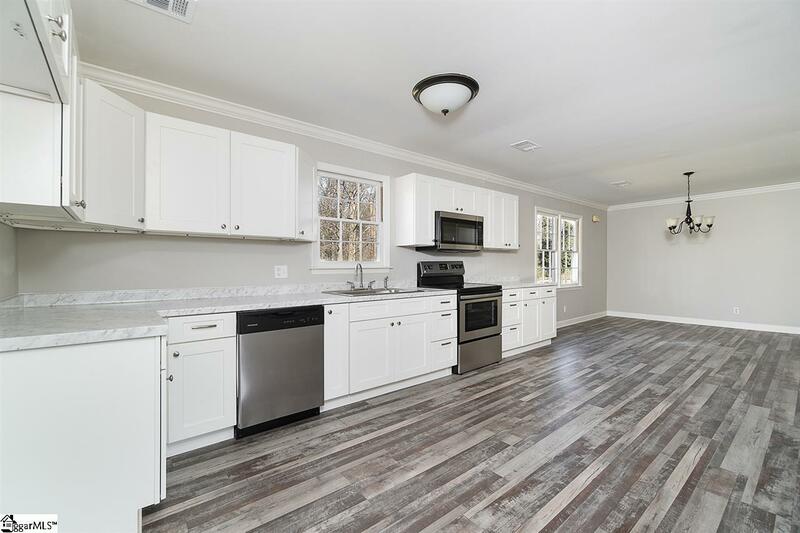 Off of the kitchen is a bright bonus/rec room that gives the home nice additional space and flexibility. There is also a large laundry/mud room, providing addtional storage and flex space. Off of the mud room is a nice deck for sitting and enjoying the quiet scenery in the backyard. Hurry and make your appiointment to see this wonderful home today! Listing provided courtesy of Paul Gallucci of Bhhs C Dan Joyner - N. Pleas.